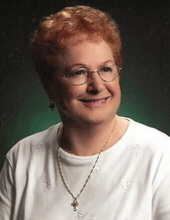 We regret to inform you of the death of Mary Ann Richardson, Mother of retired Sergeant Joe Jenkins. Our thoughts and prayers are with retired Sgt.’s Jenkins family and friends at this difficult time. The following obituary information has been reprinted from the McComas Funerl Home, Abingdon, Md. Mary is survived by four sons, Joseph (Janice) D. Jenkins, Michael (Susan) L. Stinnett, Anthony (Sharon) A. Stinnett, Patrick P. Stinnett; daughter, Barbara (Micky) Ann Peregino; 15 grandchildren and 16 great-grandchildren.